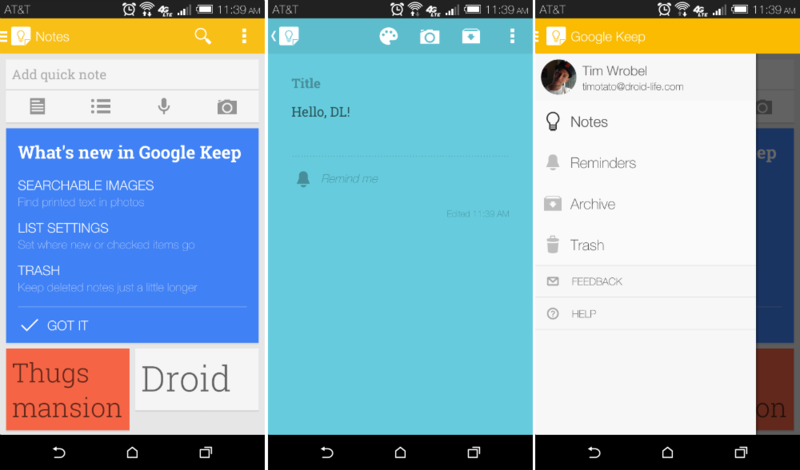 Google Keep, Mountain View’s proprietary note-taking application, received an update today on Android devices. The update brings a newly-polished user interface, much like we have been seeing on many other Google applications. In addition to an updated look, users can now search text within images, allowing for an even better archivable/searchable database of notes and lists. List Settings have been added, which allows users to select where lists and notes are placed. To top it off, a Trash bin has ben added, meaning that after a note/list is gone, it won’t be completely deleted until the Trash is emptied. Sometimes, you need to go back and recheck lists. This feature will allow for that. Go grab the update from Google Play. Note: Not seeing the update in Google Play? Here’s the apk for you.